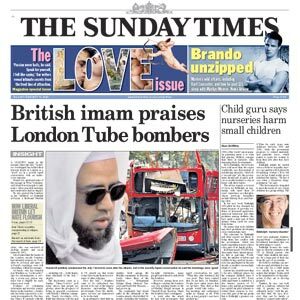 The Sunday Times is the best-selling national Sunday broadsheet newspaper in the United Kingdom. 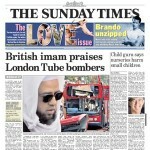 It is published by Times Newspapers Ltd, a subsidiary ofNews International, which is in turn owned by News Corporation. Times Newspapers also owns The Times. The two papers were founded independently and have been under common ownership only since 1966. They were bought by Rupert Murdoch’s News International in 1981. BT Group plc (trading as BT) (LSE: BT.A, NYSE: BT) is a British multinational telecommunications services company headquartered in London, United Kingdom. It is one of the largest telecommunications services companies in the world and has operations in over 170 countries. Through its BT Global Services division it is a major supplier of telecoms services to corporate and government customers worldwide. Its BT Retail division is a leading supplier of telephony, broadband and subscription television services in the UK, with over 18 million customers. Nescafé is a brand introduced by the Nestlé company. Nescafé can be traced back to the 1930s. In the United States, the Nescafé name was used on its products up until the 1960s. Later, Nestlé introduced a new brand in the US called Taster’s Choice, which supplanted Nescafé for many years. Taster’s Choice was also introduced into Canada at the same time, and continues to be sold as a separate product, that is branded as superior to Nescafe, and is higher priced. In the United Kingdom, a television advertisement campaign starring Anthony Head and Sharon Maughan ran in 12 instalments between 1987 and 1993. The first 11 episodes were released as a promotional compilation video called Love Over Gold in 1993. A novelisation of the same name written by Susan Moody (under the pseudonym Susannah James) was released in the same year.